Sweetheart, that's because it's called Gangnam Style, but I sure do like your style and your thinking! Gingham is one of my favorite styles. It's easy to find gingham for spring and summer. Pretty dresses, chic espadrilles, and everything else you can imagine can be found in a rainbow palette of gingham. But it's more of a challenge to find gingham for fall and winter, especially for women. 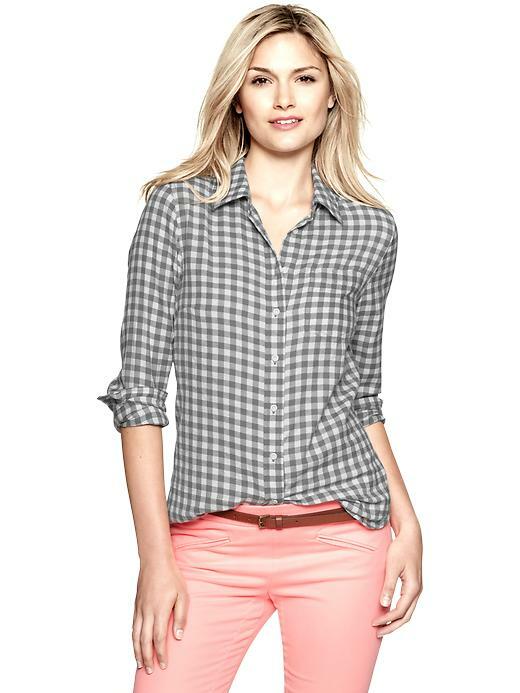 Gingham shirts are a wardrobe staple for men all year long, but women's gingham style is more difficult to find. Here are some of my favorite gingham finds for fall. 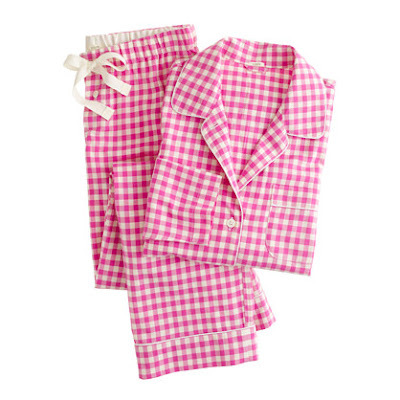 Gingham Flannel pajamas from J. Crew will keep you nice and cozy warm this fall and winter. What could be better than pink gingham? Pink and gray is a winning combination with this outfit from Gap. The gray gingham check flannel shirt looks fantastic with bright cords or colored jeans. 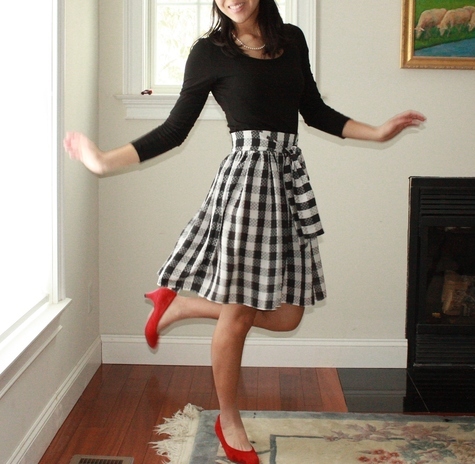 Pull out your sewing machine and sew your own gingham skirt from Burda Style. There are always a myriad of pretty gingham fabrics available. 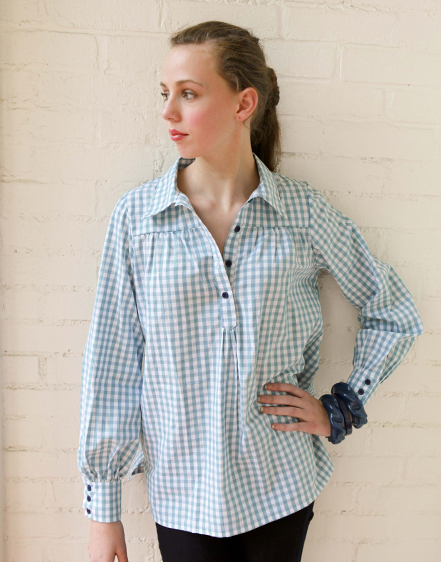 The Elenor blouse from Kayce Hughes in winter blue gingham is versatile and easy to wear. I would love to wear this with my Ponte pants from J. Crew or tucked in with a pair of jeans. So, how do you show your Gingham Style all year long? Okay, you just made me realize I don't have ANY gingham in my closet right now! How did this happen?!? 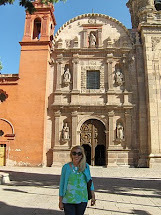 :) I love the grey top from the Gap & the J Crew in pink that you showed...I'm about to check them out! Oh my gosh too funny that they thought it was gingham style!! I love the idea of making your own skirt...I need to learn how to sew! I always go shopping and know what I want but I can never find it - maybe I should just make things! Thanks so much for including us in your fabulous line up! I am in love with those PJ's!